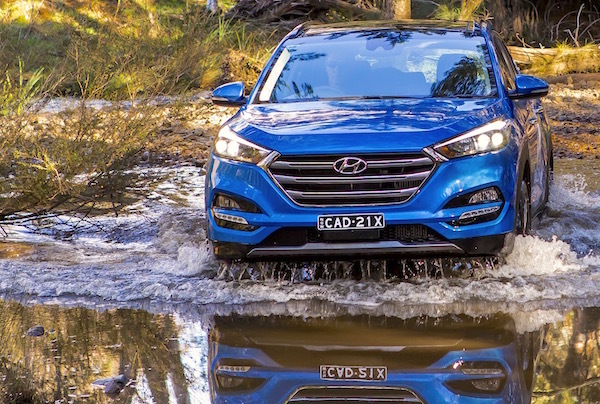 The Hyundai Tucson already ranks much higher than the ix35 ever did. After a record 2015 result, the Australian new vehicle market starts 2016 on a positive note with overall sales up 3% year-on-year to 84.373 units, the best January score since 2013. The day when SUVs become the default choice for Australian carbuyers is suddenly creeping up much faster than expected: thanks to sales up a whopping 19.5 %this month, SUV vehicles see their market share climb to a record 39.2% compared to 41.7% for passenger cars with sales down sharply at -12%. Only a year ago in January 2015, the respective market shares of SUVs and passenger cars were 33.7% and 48.5%… Nowadays pickup trucks are mainly used as recreational vehicles but still counted as commercials. Adding light commercial vehicle sales (up 12%) to the SUV result brings the combined market share to a market-dominating 56%. The market is pulled by business buyers this month, with sales in this channel up 14% year-on-year whereas private sales are down 5%. 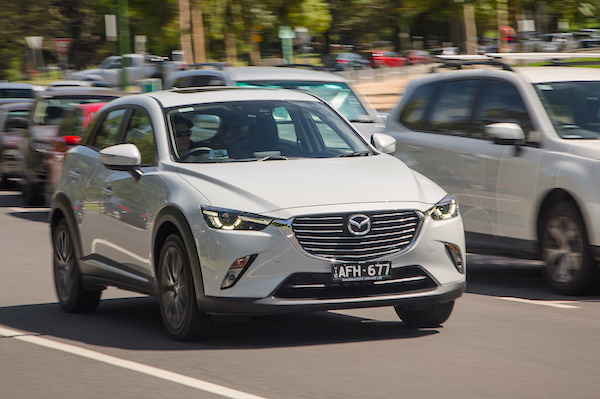 Mazda hits an all-time record 11.9% market share in Australia this month. January is traditionally a quieter month volume-wise, bringing lots of unusual performances, and this year is no exception. Toyota dives 9% to 12.453 sales and 14.8% share whereas Mazda is up 11% to 10.016 units, the first time the Japanese company posts a 5-digit sales figure for the month, hitting an all-time record 11.9% market share. 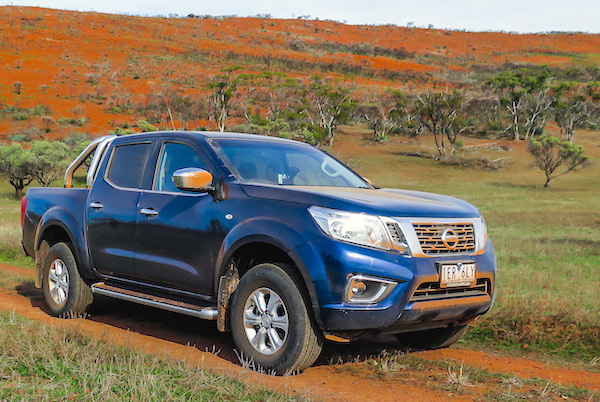 Hyundai reclaims the third place it held year-to-date up until November last year, Holden implodes at -19% in 4th place but Nissan and Mitsubishi shine, both at +23%, and Ford, boosted by a stunning performance from the Ranger (see below) is in positive territory for once at +3%. Further down, notice Kia (+29%) elbowing its way into the Top 10, Mercedes (+19%), BMW (+20%), Isuzu (+21%), Land Rover (+34%), Renault (+32%), Lexus (+25%), Porsche (+31%), Volvo (+44%), Jaguar (+96%) and LDV (+227%) all posting spectacular gains. On the other hand, Jeep (-44%) continues to deflate while Great Wall has well and truly stalled with not a single sale. Ram wants to take advantage of the pickup buying frenzy currently occurring in Australia. Rare event in any mature market such as Australia, we have a newcomer in the brands ranking this month: Ram. The brand has started exporting its larger-than-life American pickup here via American Special Vehicles (ASV), a joint-venture between the Walkinshaw Automotive Group and distributor Ateco Automotive, the local importer of Maserati, Lotus, LDV and Foton. ASV has full-volume import approval, meaning it can import as many Ram trucks as it wants. 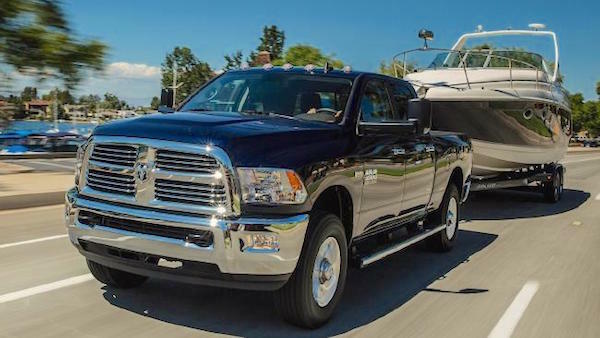 Pricing starts at AU$139.500 plus on-road costs for the ‘entry’ and greater-volume Ram 2500 and climbs to $146.500 for the Ram 3500 that requires a truck licence to be operated. This is more than double a Ford Ranger Wildtrak but very competitive with rival converted American trucks, such as the Ford F-250 and Toyota Tundra sold here in RHD guise by Queensland’s Performax International. 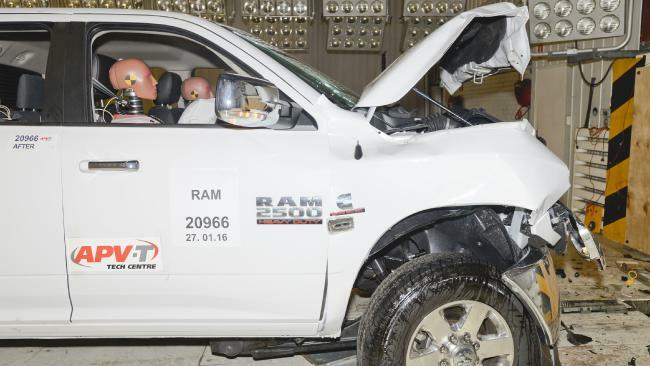 The Ram pickups are the first locally-converted US pickup to pass Australian crash tests. The Ram 2500 and 3500 imported then converted to RHD in Australia are fully compliant with Australian Design Rules, they have been designed to exactly match the ex-factory LHD versions in every aspect and are the first locally-converted US pick ups to be crash tested in Australia. The deal sees the importation of Ram Trucks vehicles direct from their Mexican factory in Saltillo to Walkinshaw, known also as a Holden tuner. The initial Ram dealer network counts 20 locations, planned to expand to more than 30 sites as demand increases. And the demand is here: if Ram makes a discreet appearance in the ranking for now with 23 sales in January, there is already a three-month waiting list for them in Australia. Ford itself sold the F-250 here about a decade ago, with some success. I have recently driven the Ram 2500 Heavy Duty in the US. You can see my reports here. 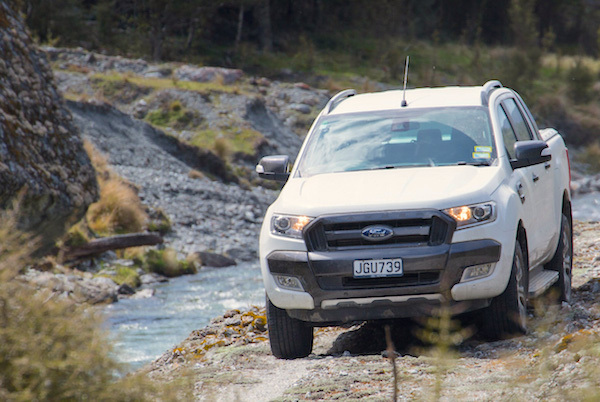 The Ford Ranger outsells the Toyota Hilux in Australia this month. In the models ranking, the Mazda3 oversteps the perennial market leader the Toyota Corolla by 3.722 vs. 2.758, the Ford Ranger outsells the Toyota Hilux for the second time in the past five months (after last September) at 2.418 vs. 2.341 to reach an all-time high third position overall, and perhaps the most surprising result of all: only six month into its career, the Hyundai Tucson takes the lead of the SUV ranking at a flamboyant 5th place overall thanks to 2.065 units sold, distancing the traditional market leader, the Mazda CX-5 at 1.750… In fact, the Tucson manages very early on to smash its predecessor’s ranking record: #9 hit in May 2013, January, February and August 2015. But the surprises don’t stop here, and by far. There are no less than four utes (Australian slang for pickup trucks) inside the Top 10, with the Holden Colorado up 6 spots on December to #9 and the Nissan Navara up a whopping 23 ranks on last month to #10, the Mitsubishi ASX remains very strong thanks to discounted pricing at #12 and the Mazda CX-3 is up 9 spots to #13. Surprise leader in December, the Toyota Camry stumbles down to #50 with just 503 sales, down 56% year-on-year, as January is more influenced by private sales. Notice also the Kia Sportage up 34 ranks on December to #19, the Nissan Qashqai up 14 to #20 and the Audi Q7 brilliantly shooting up 16 spots to #48, becoming the brand’s 2nd best-seller below just the A3 (#39). 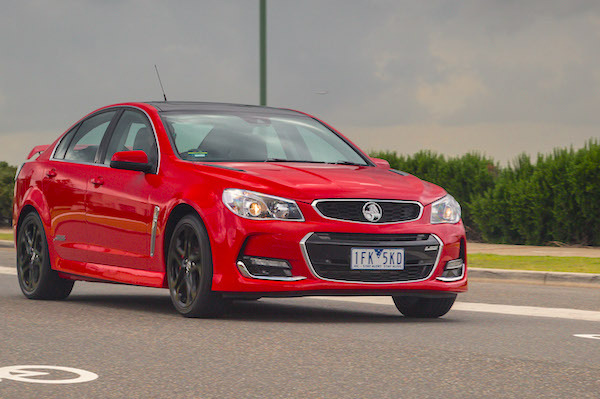 Never before had the Holden Commodore ranked so low at home in Australia. One of the most momentous events inside the Top 20 is however the record-low 15th place of the Holden Commodore. The Commodore was once the reigning monarch over Australian sales charts, ranking #1 for 15 consecutive years between 1996 and 2010 (see: Australia 2010: Commodore #1 for 15th year in a row). Australians have since fallen out of love with the legendary nameplate, and Holden folding up its local production next year means it won’t even be built locally from 2018 onwards, a fatal blow for its sales success. Since the Commodore launched in 1978, it dropped outside the monthly Top 10 for the first time ever in March 2013 when it ranked #12, hitting that low point twice more that year (in May and June). Its January 2016 ranking of #15 is its lowest-ever to-date. Full January 2016 Top 286 All-models and Top 50 All-brands below. Australia: Could 2013 be the year of the Toyota Corolla? Australia 9 months 2012: Now with Top 293 All-models ranking!